I am doing this swapping because I like to bring a smile on my partners face so if something went wrong, you don't like the swap or the swap was sent but has not arrived at your place (belgian postoffices are sometime gggrrrr!) please let me know and I gladly will resent ... If you are sending a swap to me and you will be late or have problems just let me know and we'll find a solution I'm sure about that ! I know a lot of things can happen in life and make it sometimes difficult ... we're just good friends aren't we ?!!!! I am living in belgium, my native is Dutch. I am happily married for allmost 37 years with Berre and we have two wonderful daughters Sara and Liesbet. My oldest daughter Sara decided to step out off life a short while ago, she was 30 then, I feel still a lot of pain but I accepted it! I am a catlover ... we have two (Javanelleke he is coffee with milk coloured and Jens a little red one) ! I am a proffessor at the social high school but at the moment I am a SAHM because I am fighting against cancer and am going through a bad time ... butI hope to survive and win the battle! I love the beatles and the rolling stones ... both are great groups (lol) My husband is a real beatlesfan and has a very big collection with vinyl, memorablia, books, cd's ... so if anyone from anywhere would like to do a swap with me and change anything beatlesrelated you're more than welcome! I am allways happy with a beatlesitem offcourse ... here in Belgium it is very hard to find! I love to travel and see other countries and cultures (but at this moment this is impossible, I am to sick)... I have a big collection of postcards from all over the world (I specially love mapcards and lighthouses, holiday cards, coca cola) ... prefer to receive the postcards new and unwritten, no stamp on it and sent in an envelop. I also like reading, making poems, making photographs and computering! I also love winter and snowmen and pinguin ! Oh this is so so difficult ... I think I love every little present gaven and chosen with love! I am addicted to ladybugs and mailart (cross stitched envelopes oh this is so fun!) and my little family and cats!allways will come on the first place ... I really love them all! I also love facebook ... you can find me as janien colans and I also have some groups (beatlescollectors ... and fans, the beatles universe, ...) If you like to be friends on fb ... you're welcome!!! Comment: Sorry. I sent a message on April 27 but it was never opened. I'm willing to re-rate if I do receive it. Just message me. Thank you! Comment: Thank you for your lovely package!Sorry for late! Comment: Hi Janien. So sorry I forgot to rate you on the pc you sent me. It's a good quote and a beautiful butterfly stamp.. Thank you! Comment: Your Easter card just arrived! Thank you!! It's beautiful! Comment: Thank you so much for this cute card and the enclosed goodies. And Happy Easter. Comment: Thank you for the teas and the postcard - the melon tea smells so yummy, I can't wait to try it! Comment: Thank you for the pretty card. I love the smurf stamp that you used on it. Response: dankje ... hoop dat je het lekker vindt! / Thanks hope you'll like the tea! Welcome back! Sending love and light and a friendship request. Hi there! You don't know me, but I heard that you have had a rough year and wanted to say hello and let you know that although your rating went down, I'm happy to allow you in any swaps I might host. Is there anything you'd like to see? Let me know! Just wanted to stop by and say hello. I hope you have a wonderful day! 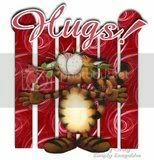 Hugs to Janien, Lies and family! !